We bring to you invaluable information regarding best PHP frameworks 2015 that can not only help you increase your productivity but these simple PHP frameworks will ease your overall work flow. 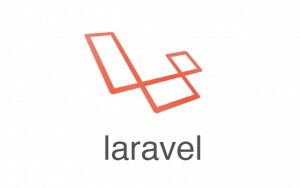 Laravel is for sure most popular PHP framework among PHP development fraternity. Despite being a relatively new entrant, it has attracted lot of attention. With a latest individual composer package, Larvel has earned a new life for itself placing at top of best PHP frameworks 2015 list. Effective routing, blade templating engine, support for migrations and many other features are going to help PHP developers to complete their tasks much more efficiently. There can no better choice than Symfony 2 when a developer is in need of a latest PHP frameworks 2015 for websites and web based applications. It is desgined over previous components available in Symfony like Drupal, Ez Publish and phpBB. With over 1 Million downloads and community of 0.3 Million developers, Symfony provides lot of roam for sharing ideas and experiences. 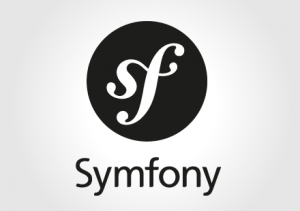 Diversity of Symfony 2 can be scaled by the fact that till date 1000 code contributors have worked on the amazing PHP framework. In case you are looking for best PHP frameworks 2015 that is fast and secure at the same time than Yii framework is what you need. Backed by powerful caching support and high compatibility with AJAX, Yii becomes an obvious choice for PHP developers. Impeccable documentation and suitability to develop high quality web applications makes it a popular PHP framework. FuelPHP is simple and flexible MVC( Model View Control) Framework for PHP developers. Fuel PHP is a highly efficient and supportive PHP framework and provides equal chances of development to its users regardless of their experience in development arena. CodeIgniter is a free PHP framework maintained by EllisLab. It has an excellent documentation with large user community. There are many exciting features that will incite you to use CodeIgniter for your projects such as no PHP version conflict, almost zero installation, easy error handling, and easy security and encryption steps and has rich built-in libraries and helper. Phalcon framework offers same ability which is landmark of bird whose name it carried- speed. When benchmarked with other popular frameworks, it has the fastest time request and lowest memory usage according to Systems Architect and Phalcon crew test. This happen because it was purely written with C/C++ for performance optimization purpose. Fat-Free is a powerful and easy to use PHP micro-framework. Fat-Free is one of lightweight framework with less than 50KB space. It was developed almost entirely in PHP with main features of URL router, multilingual application support and cache engine. There are plentiful plugins for a large number of database back-end like MySQL, MSSQL, SQLite, Sybase, DB2, MongoDB, CouchDB, PostgreSQL and Flat File.